August was a whirlwind of new shows on Netflix, some of which I was lucky enough to catch and some I’m still bingeing on at the moment. I think either months are getting shorter or days are getting shorter because there just doesn’t seem to be enough time to watch everything I want at the moment. And look, just like that we’re in September and a new bunch of shows, movies and cartoons have been added. But in case you missed them, here’s a rundown of some of the shows, movies and cartoons that were added. Ten years after the original film, fans can finally find out what happened to their favourite campers and counsellors in this eight-episode series. And the original series is also available to view and features many cringe moments from today’s big stars. Sam, an 18-year-old on the autism spectrum, takes a funny, yet painful, journey of self-discovery for love and independence and upends his family. All eight episodes are available to binge in one day, if that’s your thing. It will take an epic team of heroes to save New York City. 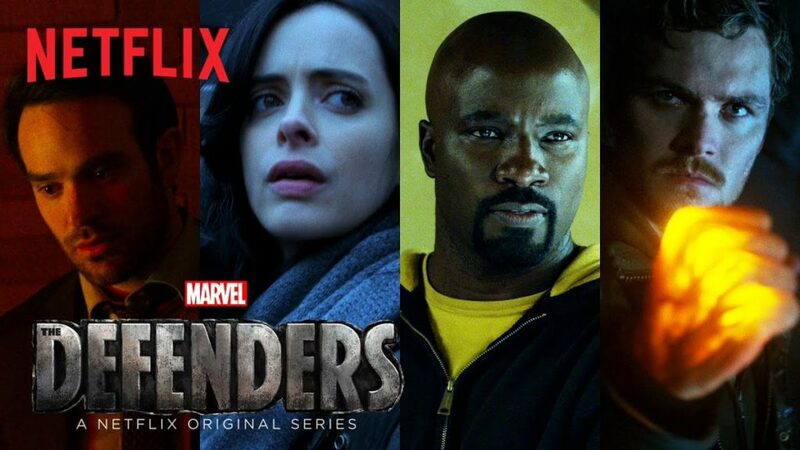 Daredevil, Jessica Jones, Iron Fist and Luke Cage come together as The Defenders in this eight part series. I’ve only watched the entire Jessica Jones and Luke Cage series. Daredevil and Iron Fit diddn’t quite capture me as much. You can read my 26 reasons to watch Luke Cage, spoiler free, here. It’s definitely worth watching. Marvel’s The Defenders follows Daredevil AKA Matt Murdock (Charlie Cox), Jessica Jones (Krysten Ritter), Luke Cage (Mike Colter) and Iron Fist AKA Danny Rand (Finn Jones), a quartet of singular heroes with one common goal – to save New York City. This is the story of four solitary figures, burdened with their own personal challenges, who reluctantly realize they just might be stronger when teamed together. Anything with Sigourney Weaver signed up has to be good. She’s living her dream as the owner of a cannabis dispensary. She and the budtenders — her son and a guard — are pretty much constantly high. All ten episodes are available. This version of Stephen King’s fantastic short story centers around a small town family that is torn apart by a brutal crime. 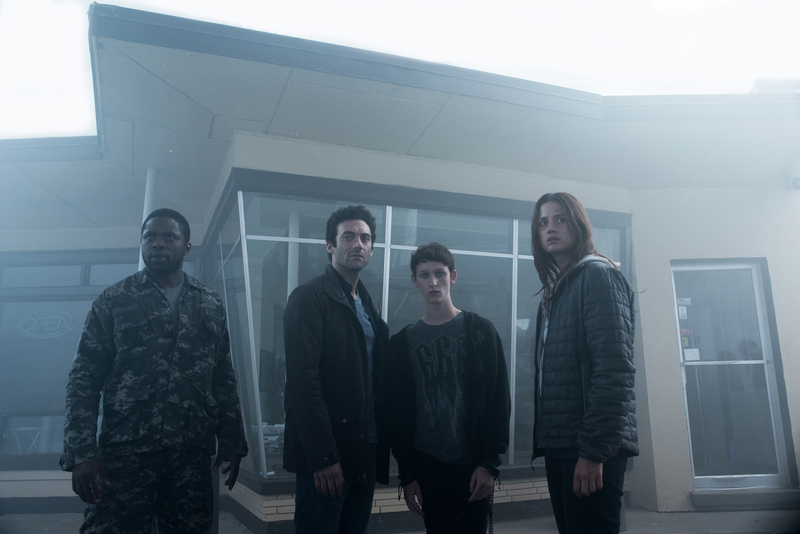 As they deal with the fallout an eerie mist rolls in, suddenly cutting them off from the rest of the world, and in some cases, each other. Family, friends and adversaries become strange bedfellows, battling the mysterious mist and its threats, fighting to maintain morality and sanity as the rules of society break down. I haven’t yet, but am really really REALLY looking forward to watching this. The movie was brilliant, so I hope the series will be a more in depth look at human nature and stays as true to the short story (even though there was no brutal crime in the book, but whatever) as the movie tried to be. It was only released on the 25th August so I’ve got tons of time to avoid internet spoilers. I hope. Ten episodes, ten days…easy. The anime series, also available in full on Netflix, is AWESOME, so I don’t know if this will live up to it to be honest. Especially since they’ve whitewashed it and it’s not set in Japan any more. Sigh. I wrote about the anime here if you’d like to read it. Intoxicated by the power of a supernatural notebook, a young man begins killing those he deems unworthy of life. Based on the famous Japanese manga. Every time Rob Anderson comes close to marrying the girl of his dreams, he wakes up naked in a hotel elevator, reliving his wedding day. Starring Marlon Wayans. What more needs to be said. I’m definitely adding this one to my list. In a future with a one-child policy, six septuplets must work together to find their missing sister and discover a shocking truth about their world. Starring Noomi Rapace of the Girl with the dragon Tattoo films, the trailer looks really good. Iranian American comic Maz Jobrani takes the stage in Washington, D.C., to discuss immigration, protests, political donations, the Olympics and more. Mexican comedian Alan Saldaña finds humor in his struggles to achieve financial success in this original stand-up comedy special. Unabashed New Yorker Lynne Koplitz offers a woman’s take on being crazy, the benefits of childlessness and the three things all men really want. A doping investigation leads to a global cat and mouse game when an American cyclist and a Russian expert trigger a huge international sports scandal. 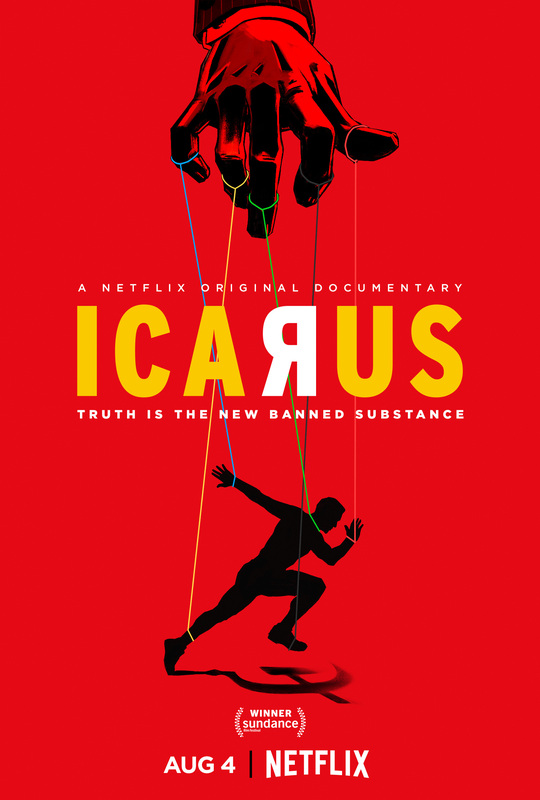 In the audacious documentary Icarus, director Bryan Fogel’s bold gambit was this: to investigate doping in sports, Fogel (an amateur bike racer) would dope himself, observe the changes in his performance, and see if he could evade detection. In doing so, he was connected to a renegade Russian scientist, Dr. Grigory Rodchenkov, a pillar of his country’s “anti-doping” program. Over dozens of Skype calls, urine samples, and badly administered hormone injections, Fogel and Rodchenkov grow closer despite shocking allegations that place Rodchenkov at the center of Russia’s state-sponsored Olympic doping program. If you haven’t watched this under the guise of making sure the kids aren’t watching trash, what are you waiting for? The series is a brilliant remake of the Voltron legend. AND, AND, AND, they also added the original 1984 series, which is just awesome! If you missed my original Voltron: Legendary Defender review last year, you can find it here. Season three finds that shifting roles within the team cause internal challenges as the Paladins continue to fight the Galra, who are undergoing major changes of their own. The fun continues as Tip and Oh explore life on Earth and in space with their neighborhood pals and adorable but mysterious new friend, Elrod. I really have no idea why Roz loves this show so much. I’t’s currently banned as I can’t stand it, but there you go, no accounting for taste. The episode where the aliens eat kitty litter was the straw for me. Yuck! But yeah, the child LOVES it. True, the guardian of Rainbow Kingdom, teams up with her magical helpers the Wishes to use friendship and the power of love to save the day! Meet Ty Rux, a massive Tyrannosaurus Trux, and his best friend Revvit, a razor-sharp Reptool. Together, the Dinotrux and Reptools join forces for the first time ever to build a bigger, better world and battle back against the biggest and baddest of them all: D-Structs, who threatens to wreck everything they’ve built. We all love the movie and the series is equally good and worth watching as we follow Hiccup and toothless’ adventures. And if you haven’t yet, you can check out my review of the very first season years ago, here. So that’s it. 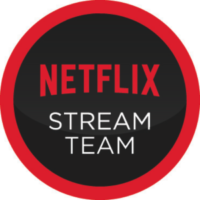 Lots and lots of promising things being added in September, so keep your eyes peeled on teh “new releases” section of your Netflix app, and I’ll blog about those soon.